Browse your LCS’s shelves and see the number of zombie books that rest uneasily there. It’s a fact that the zombie apocalypse has come, not as hoards of flesh-eating undead humans, but in the form of piles and piles of zombies comic books, waiting to bury you under their sweet-smelling newsprint, your final moments spent in darkness with the smell of ink in your nose. There are a lot of zombie books. 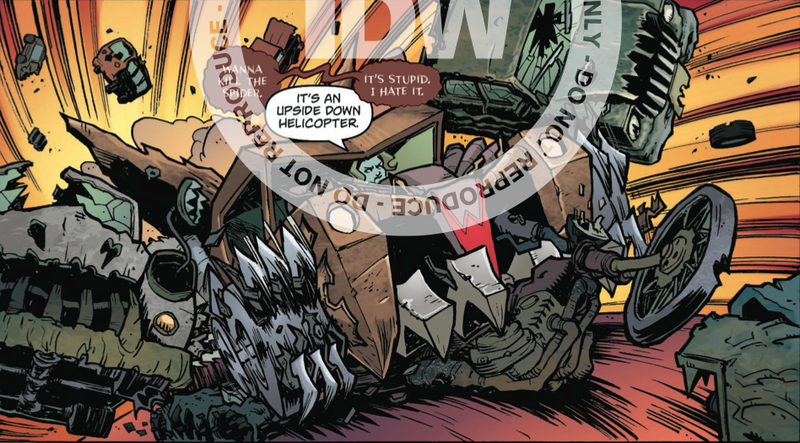 Monster Motors: The Curse of Minivan Helsing #2 is not. There are zombies in it, but this is a book about young love, about courage and sacrifice, about standing up for what is right and looking overwhelming odds in the face. Most importantly, there are cars. And monsters. And cars that are monsters. It’s those last three that you should focus on in the case of Monster Motors #2. Brian Lynch (Angel, Spike) has the perfect balance of wit and humor to make this book a totally fun, easily digested read. The puns are not overly witty, in fact, they delve deeply into what I think of as “dad jokes”, but I love them for that. Who doesn’t want to check out a world where there is a “Romero Gorge”? With April van Helsing and her minivanned father running point, the crew takes on an entire fleet of machine-crunching monsters, and this issue is where you see the steel fly. Nick Roche’s artwork goes a long way to making me like this book. He has an easy, cartoony style that reminds me of Saturday mornings parked in front of the television. The way he illustrated the monster motors is fantastic, taking in the many individual parts and exaggerating them so that you can see their monstrous aspect and still completely love them. His character design is backed up by the skill to render each of these monsters beautifully. Leonard O’Grady’s colors are bright and help to bring the whole comic into that realm that is so close to my childhood. Monster Motors: The Curse of Minivan Helsing is a Saturday morning cartoon. To perfection. If you’re looking for a book that doesn’t take itself too seriously, this is it. If you’re looking for a quick story arc, this is it. Don’t expect to finish this and lament that it’s only a two-parter. Or is it? Take this last teaser with you as Brian Lynch, Nick Roche, and Leonard O’Grady serve up a part of your balanced breakfast with Monster Motors. 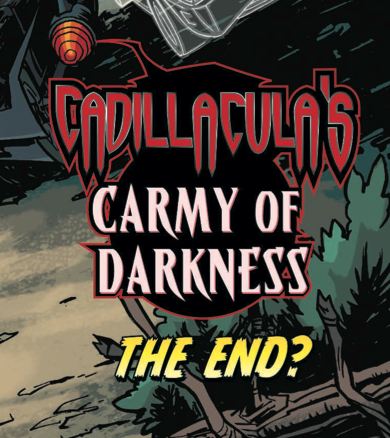 How can you not want to see more when you see this last little tidbit from issue 2? For some reason I’m craving a large glass of orange juice and a couple of slices of buttered toast. This entry was posted in Comic Book Reviews, IDW and tagged Brian Lynch, IDW, Leonard O'Grady, monster motors, Nick Roche. Bookmark the permalink.